Celestial Bodies is set in the village of al-Awafi in Oman, where we encounter three sisters: Mayya, who marries Abdallah after a heartbreak; Asma, who marries from a sense of duty; and Khawla who rejects all offers while waiting for her beloved, who has emigrated to Canada. These three women and their families witness Oman evolve from a traditional, slave-owning society slowly redefining itself after the colonial era, to the crossroads of its complex present. 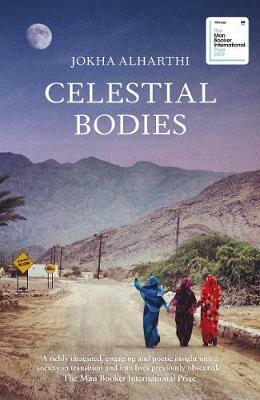 Elegantly structured and taut, Celestial Bodies is a coiled spring of a novel, telling of Oman’s coming-of-age through the prism of one family’s losses and loves.